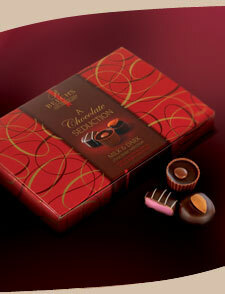 Beech's Fine Chocolates was founded in 1920 by Edward Collinson in Preston. Initially the chocolate products were sold at fairgrounds but by 1946 they reached the luxury market. The company remained in Collinson family hands until it was sold in 1966 to a family of Yorkshire wool merchants. It was during this part of its history that Beech's Fine Chocolates became a supplier to the Supercook brand which subsequently acquired the company in 1984. In 2000, Beech's Fine Chocolates was acquired by the RenshawScott Group, renowned for high quality products in the catering and home baking sectors. However, the product range and distribution network of the new owners had little in common with the ideal distribution pattern for Beech's chocolates. In late 2002, Renshaw Scott accepted an approach from a management buy in team who took the company into private hands once again. With this renewed independence came increased flexibility, enabling the Beech's brand to deliver high quality confectionery products to both the multiple retail groups and to the independent trader. In the first year of new ownership, Beech's products were bought by 40% of the top 15 British retail names and distribution to independents grew by around 5 new outlets every week.